Home App Reviews Dibby: The App That Helps You Claim What’s Yours! Dibby: The App That Helps You Claim What’s Yours! Calling ‘Dibs’: the universally recognised term for seeing something you want and claiming it. Similar terms may be known as ‘bagsy’, ‘shotgun’ or slightly more bluntly, ‘that’s mine’. The latter term I learnt from my trainee-wrestler ‘friend’ Bruce. Now, depending on who is making these claims, it may annoy you if someone calls ‘Dibs’ before you. It may annoy you as these people have no real proof of calling ‘Dibs’, do they? Well, those days are over. Introducing Dibby, the app that supplies you with hard evidence that you spotted your favourite things first. This fun-filled app allows you to see something you like, take a pic, add a description and some hashtags, maybe even post it to Facebook and Twitter (if you really want to brag!) and call your virtual ‘Dibs’. It’s as simple as that. Dibby grants you access to create your own portfolio and earn daily incentives; ‘Dibs’ are valued in Dibby coins and you can earn these by simply opening the app daily. The more ‘Dibs’ you call, the more valuable your portfolio and ranking becomes on the scoreboard. And don’t worry about telling your friends about this app, as you can find what your peers are claiming as theirs and ‘swoop’ in and claim their ‘Dibs’ as yours… Sneaky! If they ‘swoop’ in and claim one of your pics, never fear, as the value of the ‘Dibs’ increases each time they change hands. Check the global scoreboard and compete against the quickest and the best ‘Dibs’ callers in the world. And who knows, the better your portfolio gets and the more coins you earn, you could be up there with the best! 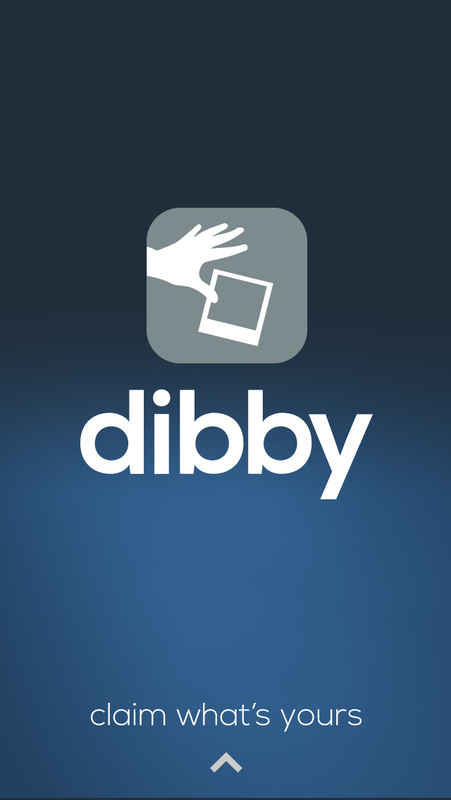 So, why not download Dibby, gather your friends and discover who is the best ‘Dibs’ caller out of you all. Unless your friend is a 22-stone heavyweight wrestler, in which case maybe just let him have what he wants. Call ‘Dibs’ at the App Store now!